By Tiffany Lam, Managing Editor. American baroque pop-rock band San Fermin, started by Brooklyn-based composer and songwriter Ellis Ludwig-Leone, hit Toronto in June for an exclusive NXNE showcase at Adelaide Hall. We sat down with bandleader Ludwig-Leone before the show to chat about touring, the band itself and sophomore album, Jackrabbit. Hi Ellis, can you start off by telling us a bit about you and San Fermin. I’m Ellis and I’m the keyboard player and songwriter for San Fermin. I started the band 2 years ago and basically we’re an eight-piece band. I write the tunes and one by one we learn them. Wow, eight people in a band is a quite a lot. You guys are playing on such a tiny showcase stage tonight too… Does that tight stage space happen a lot? Every now and then, at festival things like this. And when it does I mean, it’s kind of nice. Our first tour was like that for sure. It’s nice to be close to the other instruments, even though that sounds kind of weird. I feel like we play tighter when we’re like this rather than when we’re on a wider stage because it’s harder to hear. I’m always a little claustrophobic on stage, just because I’m behind my keyboard and there’s often a speaker behind. But it’s nice to play having everyone close. We spend a lot of time in the tour bus together and THAT gets claustrophobic [laughs]. It’s nice to tour as eight though because there’s always someone to talk to. It’s a size where everyone looks after each other but we don’t get sick of each other. It’s a real consideration when we’re talking about tours lasting two months. If we had to tour as a 3 person band, I think I would lose my mind a little bit. For sure. And so I heard it all kind of started right here in Canada in Banff after you graduated from Yale in classical music, and that was where you were able to nearly write the entire first album. Yeah when I was a kid, my mom went to Banff. I visited her when I was like 10 and it was super cool to see her there; she’s a painter. So when I graduated school, I needed somewhere to go get away from my life and write a little bit… That was my first idea and luckily it paned out. The record basically came pretty quickly when I was there. Have you contemplated going back for either more inspiration or even just pleasure? Oh I would definitely go back. It’s just that my schedule now is such that it gets a little hard to block out that kind of time. The first half of the record, I went to a slightly more accessible place – I went to New Hampshire and did some writing there. But then I sort of finished it when I came back, some of it I wrote on the road and that was definitely a very different experience because I had the band there as we were touring, so I was really writing FOR the band. Your music is very intricate, complex and grand evocative and epic. It’s very orchestral. What are some progressions from the self titled to the recently released sophomore Jackrabbit? I think it got a little bit more focused on the live show. 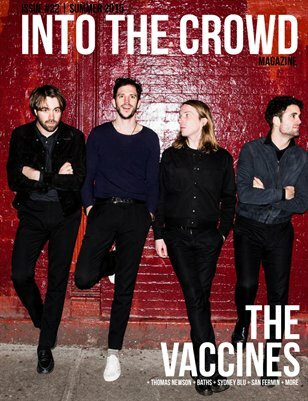 It turned from a thing I didn’t know who would be playing the songs [for] the band… To writing this new album and these new songs where I would be imagining them. In doing that, I think I definitely made the songs more suited to them and probably more suited just to the live show in general. There’s a lot of moments where I knew would do well live if I wrote it this certain way. So essentially more consideration put into it from experience over the last years with San Fermin. What has been the most challenging thing for SF so far and how did you guys overcome it? A big hurdle was when we got all our stuff stolen when we were on our first tour. It was terrible. Basically we had no money, we weren’t making money from shows and we lost 20,000$ in equipment. Someone blowtorched our trailer – which is crazy and actually a pretty impressive effort – but we lost everything. That was tough. Luckily our fans came through a little bit and helped fund some stuff which is amazing and then luckily we had enough shows that we were able to pay off the rest of it. That definitely set us back. It was a real effort to come back from that. I guess now you guys probably really careful with how you guys store your stuff. Yeah we are. We never leave anything out. And the thing is we were only there for a couple hours… but you just never know. In contrast, what has been one of your greatest pleasures thus far in San Fermin? I think the best thing is the feeling of knowing you came up with something, started it, and then suddenly people care about it. Then you’re sharing it with not only fans but this group of band members who occupy this funny place somewhere between friends and family – it’s this weird sort of bond. And you go from these songs meaning something to you to these songs meaning something to them, and not to sound corny but there’s definitely something magical about that. It all blends together a little bit. When I thought about touring, I thought it would be going around everywhere, seeing places, experiencing them… but it’s really in and out because just the nature of touring. Every now and then when we get to stay in a place for a minute, it’s a really great memory. We stayed in Iceland for four days, had a really great time, same for Italy – really amazing experience there in Ferrara. Basically any time we have a day, it’s awesome. We all really like each other it’s just we’re always scheduled on tour. Anywhere you’d like to go on tour? Yeah I’d love to go to Australia – we’ve been talking about it for a while, it’s just a matter of making sure it makes sense financially. That’ll probably happen sometime in the next year and it’ll be really fun. Any side jobs coming out of school or did you just jump right into this project? How did you financially fund yourself to makeSan Fermin happen? Right when I graduated from Yale, I got a part time job as a musical assistant to a composer named Nico Muhly – he does a lot of cool stuff and has been a very important person in my life. He’s a classic pianist but also does arrangements. I worked with him for about two years snd that helped with the transition. What’s one song you wish you wrote? 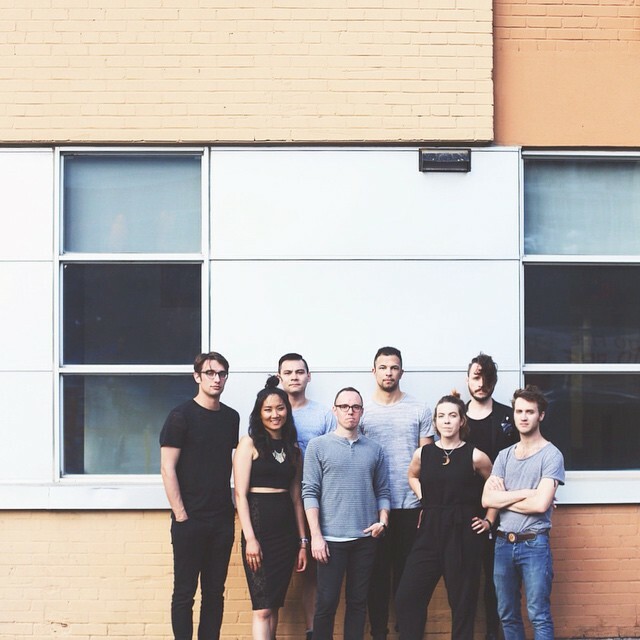 What’s next for you and San Fermin? We have festivals all summer and then we do this tour with Alt-J and then we do some headline stuff! We’ll be playing stadiums too; I don’t think I’ve ever played in a stadium so that’ll be quite a phenomenon.